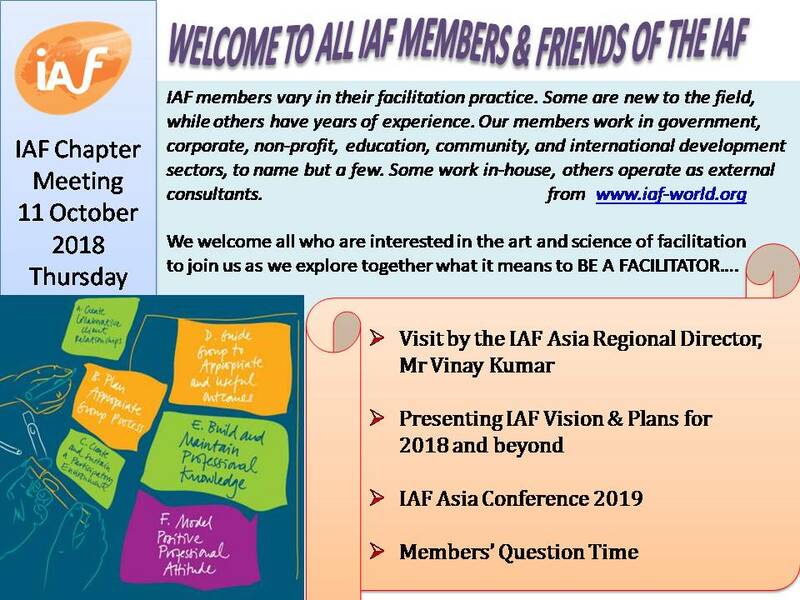 We are small in number in the Malaysia Chapter and we look forward to Vinay's visit as an opportunity to shine a spotlight on the IAF. We have invited past and present members and all who are interested to know more about facilitation to join us in our chapter meeting and also the workshops that follow. We look forward to growing in numbers and intent as we plan for the years ahead.